In common property studies, increasing number of users has been considered as a major threat for the long-term sustainability of natural resources. This perception has been true in a few cases. However, the 40-years empirical research conducted in a variety of environmental settings, reveals that population pressure is not the only factor responsible for the degradation of natural resources. In remote areas, where the local inhabitants highly depend on available natural resources for subsistence livelihood, the economically important resources are kept under different ownership regimes. The local inhabitants have established autochthonous institutions, and formulated rules and regulations for proper management of these resources. In this paper an attempt has been made to explore the response of a small fodder user community to the increasing population. For this purpose a micro-level study has been conducted in a remote mountain environment in the eastern Hindu Kush. For this research, data has been collected through fieldwork and focus group discussion. The results of this study reveal that fodder user communities have responded very well to the problem of population pressure. To maintain equity and long-term sustainability they have adopted a number of strategies including changing the ownership, and a resource kept under private ownership at the time of low population has been changed to a common property with increase in population. 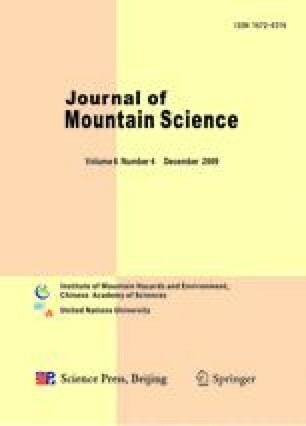 Based on this study it can be concluded that in mountainous areas and fragile environment the local inhabitant have both the capacity and capability to change their behaviour with regard to changing resource productivity as well as increasing number of users, and this situation does not always lead to the tragedy of commons.